Hey, life happens. It is almost impossible to go through life without getting a few bumps and bruises along the way, especially in terms of your credit. Nobody is perfect. Times can be tough, and the economy can take its toll on people, knocking everyone down. The New Chance Program brought to you by Boardman Nissan near Canfield, OH is designed to help get you back up and on your feet if your credit score has taken a hit. If any of these issues are giving you grief, Boardman Nissan can help get you on the path to recovery. Or, if you are just starting out and need to establish a good credit score, we can help get you started on your journey. With the New Chance Program, we will assist you in finding a late model vehicle or a new one that will last. We have a wide variety of automobiles for you to choose from. We can work together to create a payment plan that will fit your financial needs, taking everything into account and catering to you specifically. We will work with you, not against you. Utilizing the New Chance Program and making the payments you can afford toward a new or new-to-you car will help bump up your credit score and get you into much better financial shape. You can even adjust your payment plan as you go on and find yourself with more stability. We have had customers get a vehicle and then return 18 months later to reduce their payment and get into an even better ride! If you are struggling with finances and wondering how you can get yourself back on track, wonder no longer! 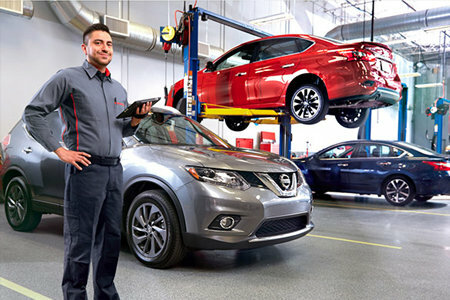 The Boardman Nissan New Chance Program is here to help. Call 1-800-639-2426 (think 1-800-NEW-CHANCE) right now, and let us get working on fixing your credit and driving a great vehicle today.